I love to walk and photograph mountains and I love the Alps. But in summer there are plenty of people everywhere and the light is usually strong. 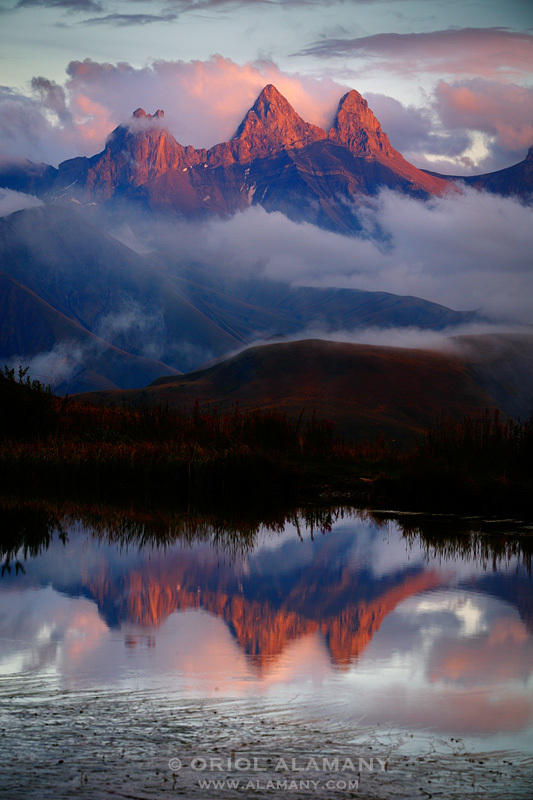 I made this picture of the magnificent Aiguilles d’Arves in the french Alps at sunset, reflected in a mountain lake, in the transition of summer to autumn, when the mountains are again peaceful and the light beautiful.